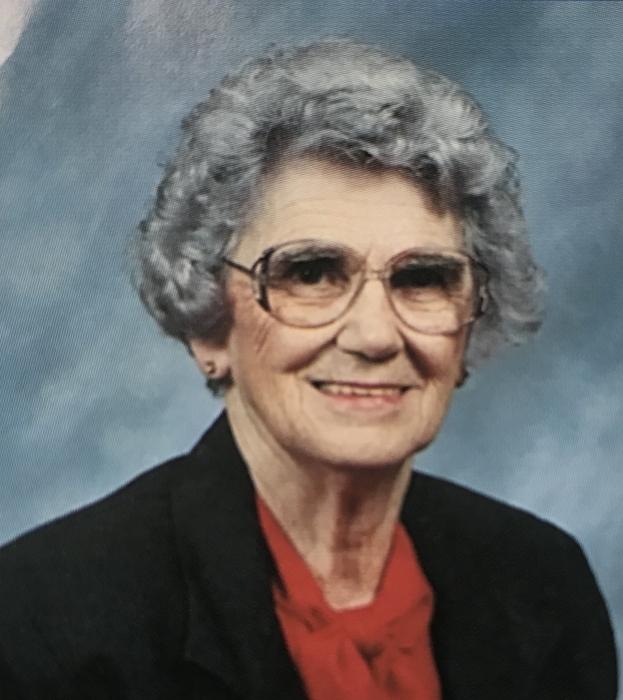 Obituary for Margaret M. (Christner) White | Price Funeral Service, Inc.
Margaret M. White, 98, of Meyersdale, died November 16, 2018 at the Goodwill Retirement Community, Grantsville, Md. Born April 5, 1920 in Brothersvalley Twp., the daughter of H. Earl and Leila (Baughman) Christner. Preceded in death by her parents; husband, Ernest “Ernie” White; brother: Orville “Speedy” Christner; sister: Betty Clay. Survived by her son, Thomas E. White and wife Nancy, Meyersdale; grandson, Adam White and wife Karisa; great granddaughter, Bristol; brother: Alfred “Boots” Christner, Berlin and numerous nieces and nephews. She was a member of Meyersdale Grace Brethren Church, where she taught Sunday School, children’s church and was a faithful teacher at AWANA. Margaret touched the lives of many children. Friends will be received from 5 to 8 p.m. on Monday at Price Funeral Service, Meyersdale where service will be conducted at 11 a.m. Tuesday with Pastor Randy Haulk officiating. Interment Meyersdale Area Union Cemetery.